mardi, avril 24th, 2012 at 9 h 15 min. 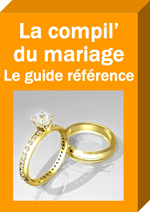 Droits & lois suisses, Tous les documents gratuits ! This entry was posted on mardi, avril 24th, 2012 at 9 h 15 min and is filed under Droits & lois suisses, Tous les documents gratuits !. You can follow any responses to this entry through the RSS 2.0 feed. Both comments and pings are currently closed.